Itching For New Tech House Music? MarqA Changes Gears and Takes You Into Underground Supremacy With This Big Techy Grinder. 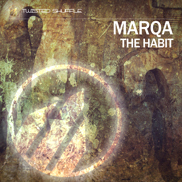 Download "The Habit" on Beatport, find more from MarqA on iTunes. Switching gears from his more mainstream style of dance music MarqA comes out swinging, hitting hard & getting dirty with this new tech house club grinder. The beats are rock solid groove and the melodic Indian style vocal drop is sure to please the more cerebral dance floor knee jerkers only to jack back up into the groove and flow. DJs, make it a habit and drop this new Tech House bomb ASAP and watch your dance floor melt.